A German start-up is measuring everything from skin temperature to eye tracking to understand what makes viewers tick – and what keeps them coming back for more. 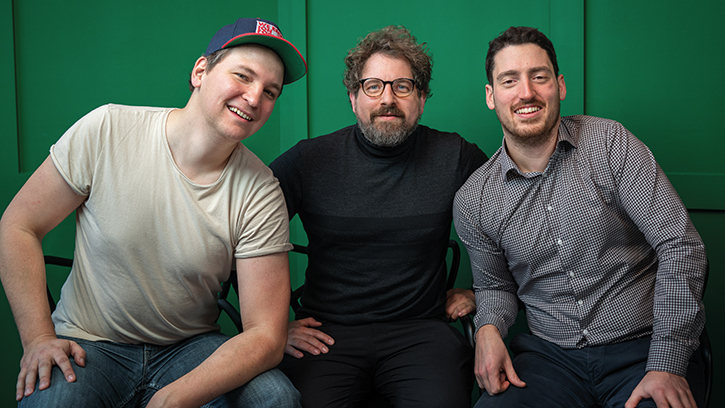 Mark Drexler and business partner Sebastian Erhardt founded Berlin-based Tållbeard Studios in 2016 as a product design company with a wide, multi-disciplinary strategy, embracing both art and science. Through its Cognitive Laboratories arm, the business mixes cutting-edge technology with social science to give customers real-time analysis of every aspect of a product user’s experience. Prior to Tållbeard, Drexler had a career working with high-profile brands, such as Adidas and Sony, and consulting for agile start-ups from product vision to rollout. Most recently, he helped build the design team at the Telekom Innovation Labs (T-Labs), the R&D unit of Deutsche Telekom, working in partnership with the Technische Universität Berlin. The Tållbeard team includes product designers, social and cognitive scientists, usability experts and developers. Tållbeard Cognitive Laboratories specialises in deep analysis, examining exactly what makes viewers tick and why. “We can, for example, investigate the consumer behaviour of sports fans on all the end devices they’re using, whether that’s TV, smartphone or VR glasses,” says Drexler. Companies want increasingly refined and accurate information about how their products are working. In the tremendous economies of scale that digital content allows, a difference of five seconds of viewing time, multiplied over millions, can add up to a substantial sum in revenue. Biometric analysis – measurement of human body responses – give insight into what exactly is happening when the viewer encounters a piece of content. So far the work has been in Germany, Switzerland and Austria primarily, but they are now looking farther afield and looking toward opening a studio in the UK. One of its biggest clients has been Deutsche Telekom, working on its MagentaSport, the network’s multiscreen sports platform. The company is responsible for testing the MagentaSport app for smartphone, tablet, desktop and web, as well as smart TV and Fire TV Stick apps. Customer research is as old as commerce itself, but the granularity and depth of the Cognitive Labs research is still a rarity – and Drexler is aware that companies like his are writing the rulebook as they go along. Of course, businesses want to know the magic fix is – what is the one change that will make all the difference? Drexler notes that the continuous changes going on throughout the industry also mean that solutions are continuously changing. “We are developing playbooks, of course, but we’ve seen a rapid market change – and a rapid change in habits – through the years. If you stick to a playbook, it’s going to become old pretty quickly,” he says. The company’s biometric analysis of content can give more information about a viewer’s experience than the viewer would be able to articulate themselves. It employs everything from eye tracking to electroencephalograms (EEG) and measuring of galvanic skin response. “Ultimately, our success metrics are based on both what the viewer wants and what our client wants. We have a number of different measurements. 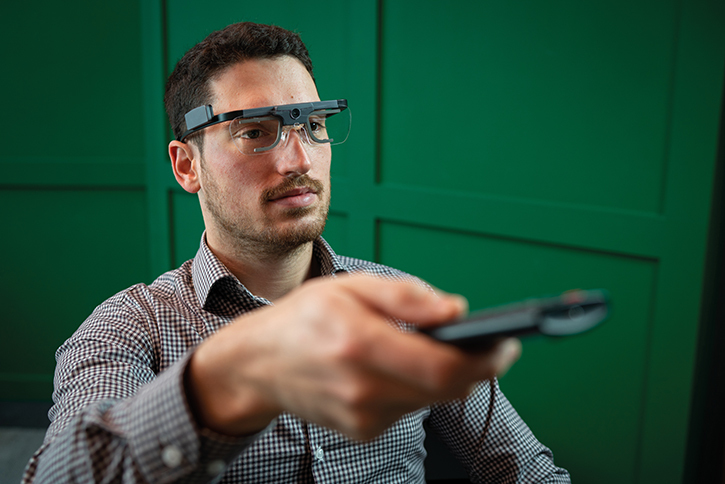 We’re using eye tracking for tracking visual attention; we can show heat maps of areas of interest; we can show the distribution of attention – colour coded according to the stimulus from high to low – we have an intensity locator, which is especially important, and we can track the gaze path and the areas of fixation,” says Drexler. “We have a pupil-size metric, which is very important,” Drexler continues. “Pupil dilation indicates the arousal of the user. We also have automatic facial expression analysis, with 33 different facial landmark points, which is very exciting. But the complex data gleaned from these techniques has to be properly interpreted by a human to tease out useful information. All these metrics can be laid out on a timeline alongside the content and the viewer’s reaction to each moment – each frame – can be carefully considered. With such a wealth of intimate knowledge available to those willing to pay for it, could there be boundaries crossed, with viewers being unknowingly manipulated by a content provider that knows more about them than they know about themselves? Drexler thinks the opposite is the case. And that’s not the only innovation the Tållbeard team is working on – the company also has a four day work week.